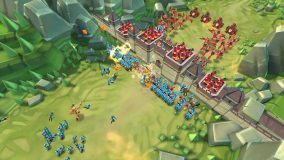 Lords Mobile is confronted as one of the role-playing games as well as the strategy. IGG studio is the developer of it. Lords Mobile is an action-packed adventure. In the game you can face against players from around the world. Discover the exotic magical realms that have been dragged into the chaos of terrifying monsters and powerful enemies. But, do not forget that you will conquer the world with your discoverer. 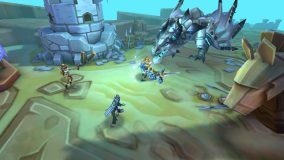 By choosing your favorite heroes, you become involved in the Lords Mobile game. Overwhelm your enemies in the wars you are entering and be the leader of the world. Instead of entering into one war with your own kingdom, acquire allies. You must act with unity from power logic. It will not be easy. Unite with your allies and co-ordinate your strategy. Be the one who won the war in the battle of seizing this action-packed royal throne. This game is very much same as clash of clans developed by supercell. So let the throne be yours. 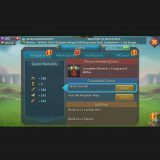 Rent and develop heroes with unique skills and characters. Let them take your kingdom to the zaffer, or set up your team and complete the RPG-style fight you want to play again and again. In Lords Mobile, when you prepare your troops for war, think well and perfect your strategy. Experience the excitement of battle while fighting with great 3D graphics. 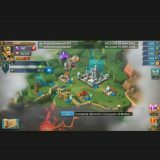 Just go to the server you want with a simple click and place your empire in new territories. What's new in this version of Lords Mobile?